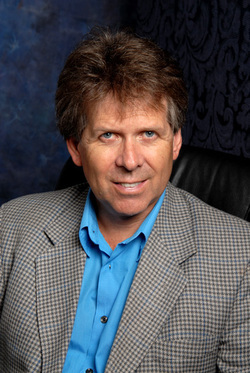 Dr George Blair-West is an author, medical doctor, psychiatrist, husband of 25 years and father of two. He works in private practice in Brisbane, Australia. As a psychotherapist he works in just three areas: trauma therapy, relationship therapy and the psychology and sabotage of weight loss. This book has evolved from his work as he came to realise that underpinning these, and so many other, psychological conditions, is the fundamental need for all of us to find our own meaning and purpose in life. This is not his first book. His bestselling book Weight Loss for Food Lovers: Understanding our minds and why we sabotage our weight loss was the first book to comprehensively review the research into Restraint Theory, the correlates of sustained weight loss and the psychology of exercise and then formulate the clinical application of these and other psychological findings into patient care. As well as giving many conference keynote addresses, he was invited to present his work at the International Congress on Obesity in 2006 this paper was later published in 2007 out of the USA. Weight Loss for Food Lovers is now published in every English speaking country in the world and has been translated into Dutch and Chinese. This was followed by a children’s book (and a song! – here’s the link) co-authored with his wife, Penny, a clinical psychologist. His third book THE WAY OF THE QUEST released in 2013 is a “self-help novel” set in the time of Queen Elizabeth. It is all about the importance of finding one’s meaning and purpose in life as seen through the eyes of young man and his adventures on Mont St Michel. The book is designed to help people develop both self-confidence and happiness (better described as 'life contentment') through showing them how to find what they are passionate about and how to make sense of their particular life. Dr Blair-West's core interest is in taking the latest research – both his own and that of others – and then deconstructing it into the key elements of motivating change – and then delivering this in an engaging format. Perhaps his most significant scientific achievement was his research in the late 1990s demonstrating that the accepted suicide risk in major depressive illness of 15% was not only incorrect, but misleading. He was able to not only prove that the true figure was only 3.5%, but he elucidated the design flaw overlooked repeatedly by researchers in the field. Finally, he demonstrated that the suicide risk was weighted heavily by males such that a single number was misleading. His findings were published in the peak European, American and Australian psychiatric journals. After the publication of his first paper he was offered a position as an honorary Senior Clinical Lecturer at the University of Queensland in recognition and support of his research. He was later invited to present at the peak international congress on suicide and depression.